In 2006, SolarEdge invented an intelligent inverter solution that has changed the way power is harvested and managed in PV systems. Since beginning shipments in 2010, SolarEdge has shipped more than 7.5GW of its DC optimized inverter solution and its products have been installed in over 600,000 PV systems in 125 countries. SolarEdge is the #1 inverter supplier to the US residential market and #3 in the US commercial market. What else makes SolarEdge great? The heart of your solar solution is your Energy Management System. Sungenia provides you with the very best energy management system in the industry, developed by SolarEdge Technologies. This system ensures that each and every part is functioning and producing at its maximum. What goes into this system? 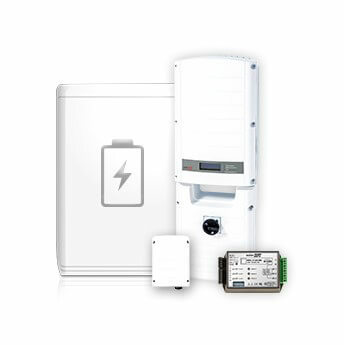 Much has been written and discussed on the battle between optimizers and microinverters. Most solar magazines and other industry periodicals will tell you there are pros and cons to each without really endorsing either solution. So what is the homeowner supposed to do, who are they to believe? Our newest monitoring system is easy and intuitive, providing visual presentations of your panels and system performance. Here at Sungenia, we also monitor the performance of all our systems and will alert you should we find anything faulty. Learn more about our monitoring capabilities. Batteries will be extremely valuable in the future, with rate changes happening constantly, being self-reliant will bring the cost of your bill down tremendously. Good thing SolarEdge has a whole-home solution for you! 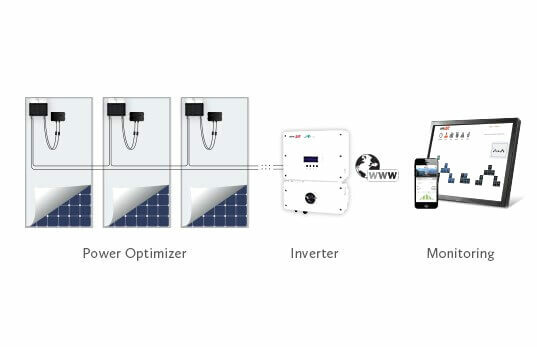 SolarEdge has partnered with LG to create a self-consumption and backup power integrated system.